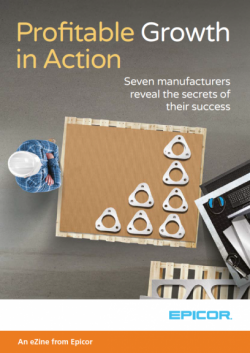 Just like you, manufacturers worldwide are gearing up for growth. But not everyone is equipped to grow profitably, or prepared for the pitfalls that can happen along the way. If your business has ambitious growth plans, download the eZine by clicking the image below to find out what your peers are doing to grow profitably – and how Epicor can help.